Special edition of debut album, Sometimes I Sit And Think And Sometimes I Just Sit is out now! 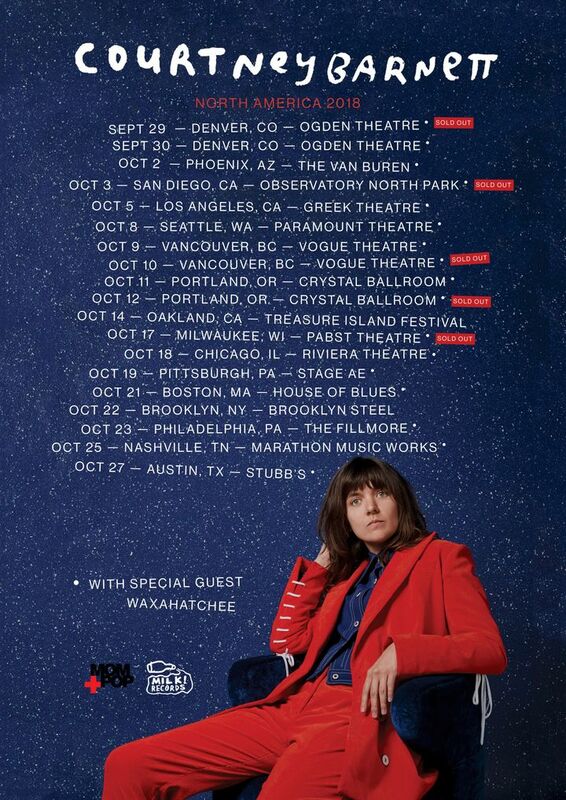 US + Canada tour starts next week ! I’ve been to hundreds of venues and this one ALWAYS has the best sound mix - phenomenal engineering job. Courtney really rocked the place and I absolutely recommend anyone to go and see her. Laura Jean is a really eccentric character in contrast to her powerfully relaxing music. All in all, brilliant night! She blew it out of the box. Amazing. For me the track of the night was her cover of Gillian Welch’s Everything is free. What a good time! And the Gillian Welch cover as the encore tied it all together. Is Barnett filling the shoes left by Bowie? Maybe. Show was amazing! Tom Morello joined Sleigh Bells on stage at one point and both SB and Tom Morello had sick sets. Sunflower Bean opened and were amazing as always. Alice Merton was also really good. Of course closing it out, Courtney Barnett was amazing and played all my favs. I’ve seen CB quite a few times and the 2 most memorable shows were at the Riviera. Last night was no exception. The venue brings out the best from Courtney and her band. Terrific!